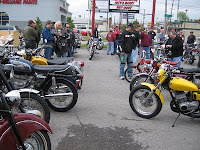 Twice a year the gang down at Brookside Motorcycle Company have a fun little bike show with barbecue, sodas, vintage bikes and balloons for the kids. Actually I made up that part about balloons. 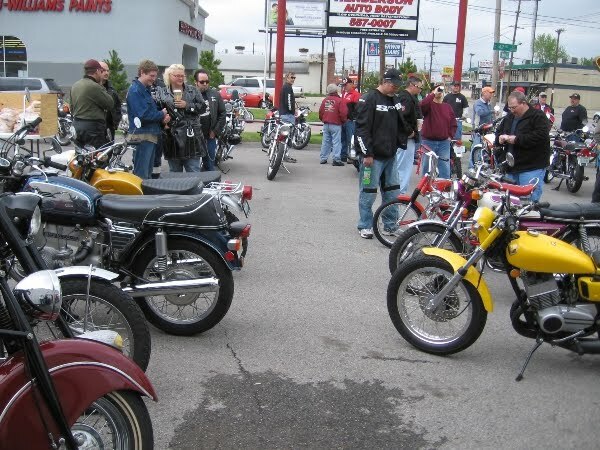 But tons of cool old motorcycles get dusted off and cruise down Peoria every Spring and Fall for this casual get-together. 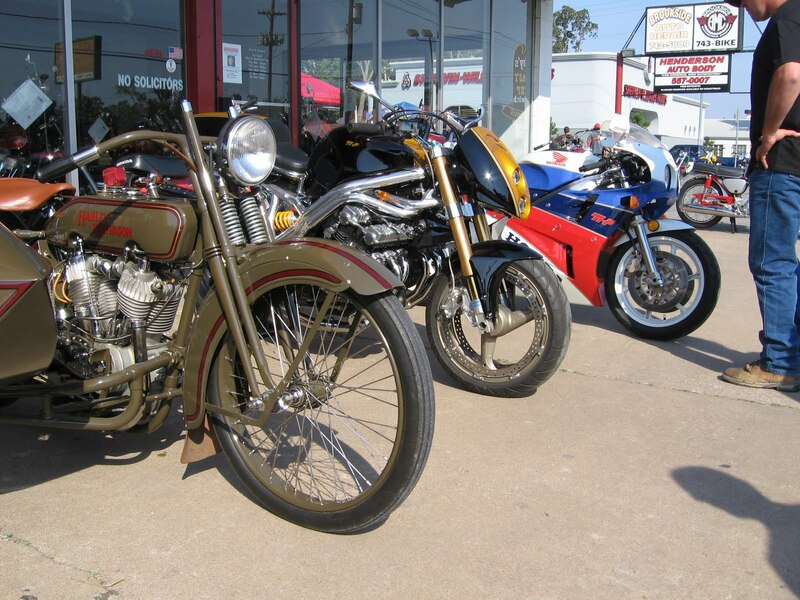 All shapes and sizes of motorcycles show up, and there is no entry fee. 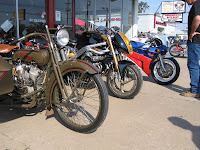 It's always an eclectic assortment- old motocrossers, Harleys, race bikes and a few scooters for good measure. Lunch is provided from Bob's BBQ and trophies will be awarded! Brad and I will be there- with or without a vintage bike. And even without free balloons, it should be a pretty darn good time.